I’ve been watching re-runs of DC Cupcake and it really got me in the mood to make something fun for the dogs. I’ve been thinking about making some treats for the and all I needed was the inspiration to make some cupcakes to help make the decision easy. I knew the basic ingredients I wanted to put in them, and just kind of wen from there. 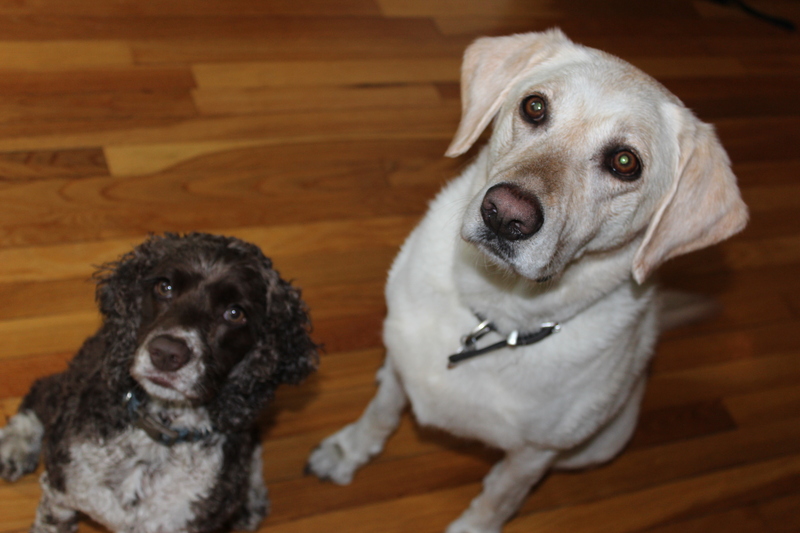 The doggies seemed to really like them…and people did too! 1. Preheat the oven to 350 degrees. First, mix the canola oil and applesauce. Then add in the peanut butter until it is smooth. Last, add in the flour and baking soda. 2. In a separate bowl, mash up the bananas and then add them into the batter. Pour the batter into mini muffin tins with paper liners. Cook them for 15 minutes. 1. Mash the banana until they are as smooth as possible. Then add in the peanut butter and mix. This will determine the thickness of the icing. 2. 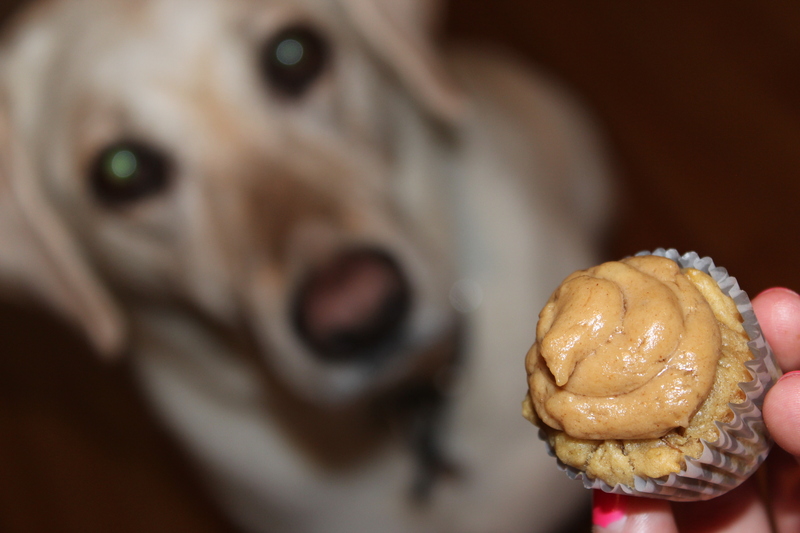 When the pupcakes are cooled, top them off with the icing and let the little nuggets enjoy! The little spoiled doggies loved their little treats and I didn’t feel bad giving it to them because I know EXACTLY what’s in them. And it didn’t include any ingredients that I wouldn’t feel comfortable giving them any day of the week. A few people tried them too…and they weren’t bad at all. 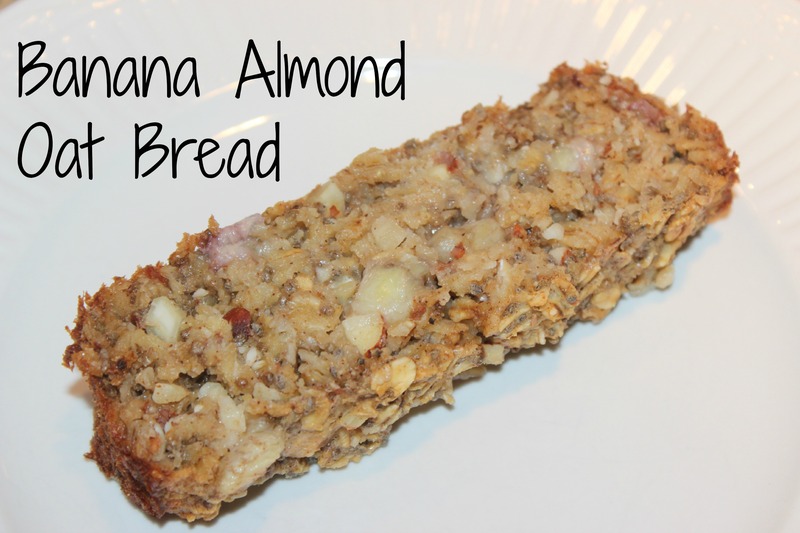 Think banana bread without the sugar topping. They were delicious. When I’m going out to the store and just want to pick up some treats to have in the cabinet, I love the Trader Joe’s Dog Treats. Simply because when you read the label, you know every ingredient. If you wouldn’t eat it, why would you feed it to them?? 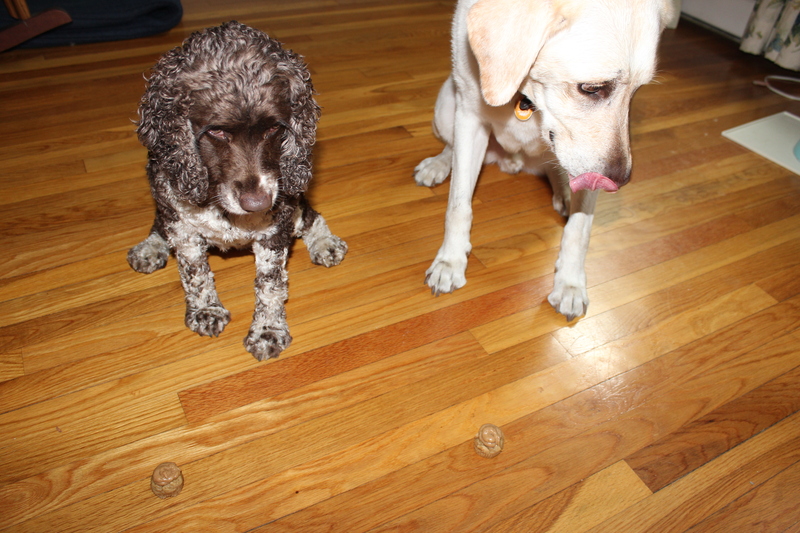 What are your favorite dog treats to spoil the puppies?? 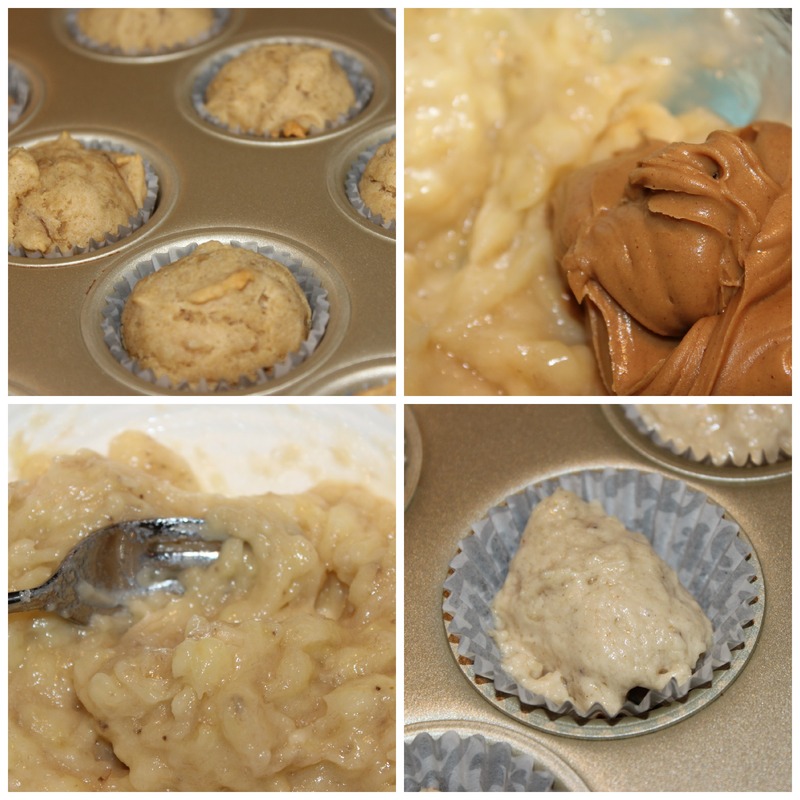 This entry was posted in Puppy Treats, Random, The Pups and tagged Applesauce, Banana, dog, Easy, Healthy, natural, Peanut Butter, pupcake, pupcakes, Treat, Treats on August 3, 2014 by Sizzle Food. “Can’t you see that it’s just raining? From doing what you’re supposed to. Every time I hear this it just makes me crave those slow weekend mornings that you just relax, sip your coffee, and eat those banana pancakes. It sounds like such a perfect little morning. Well, last week there was a LARGE thunderstorm that came through the Boston area in the morning and it seemed to be begging just that banana pancake morning. You don’t have to ask me twice! 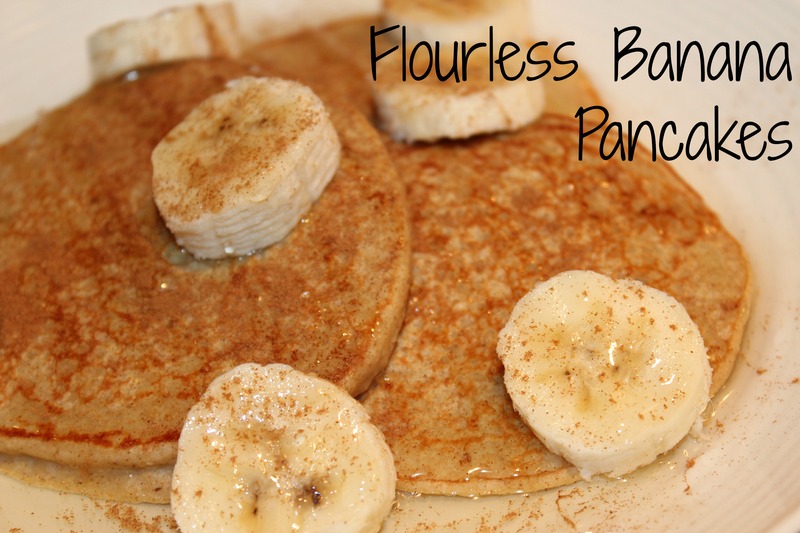 I decided to try out a little variation some banana protein pancakes that I found earlier in the week. The BEST thing about these pancakes is they have NO FLOUR and you really don’t miss it. 1. 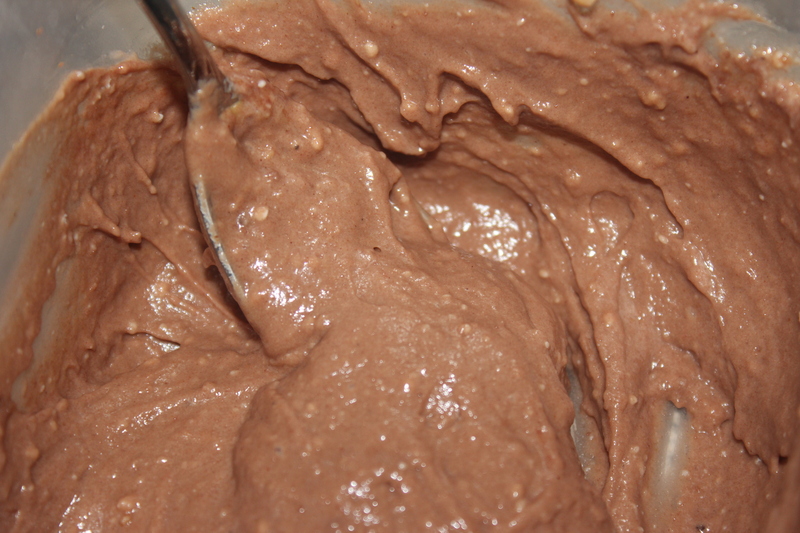 Place all of the ingredients in a a bowl and blend with an immersion blender. You want the batter to be completely smooth. 2. Heat up a skillet to low-medium heat and place the batter on the skillet. This will make about 2 medium sized pancakes. Flip the pancake when it starts to bubble and the edges look cooked. These will cook faster than normal pancakes so keep the temperature low. I topped mine with the other half of the banana and some agave. It was delicious and I don’t know that I would go back to putting flour in my pancakes. To be honest, these fill you up but don’t sit as heavy as normal pancakes. A winner!! This leaves me with so many other ideas for a ‘healthy’ pancake that doesn’t include any flour. Have you every completely re-done a favorite and found it to be just as good?? This entry was posted in Breakfast, Gluten Free, Random and tagged 1 Person, Banana, banana pancakes, Easy, Fast, Gluten Free, Guilt Free, Healthy, Pancake, Pancakes, Single Serving on July 21, 2014 by Sizzle Food. A few weeks ago when I made the Baked Cranberry Almond Oatmeal Brent had made the suggestion of making a cinnamon banana version of it. There isn’t a banana bread out there that he doesn’t like and I have to agree. Of all of the breads out there, it has be one of my favorites. So, when he suggested it, I obviously thought it was a fantastic idea, and went to work on creating one. I like it better than the cranberry almond, and others liked the cranberry almond better. I guess it really is up to your own taste. But the best part I think, is the fact that it is gluten free, so my youngest sister Bridget can enjoy it along with the rest of us. Now, the directions for each of them are the same so if you do like the pictures that go along with it…just head over to the Cranberry Almond. 1. In a bowl, mix the oats, almonds, chia seeds, baking soda and cranberries. 2. Add in the egg, honey, yogurt, milk and honey. Stir until consistent throughout. 3. Bake it at 350 degrees for approximately 40 minutes in a greased bread pan. 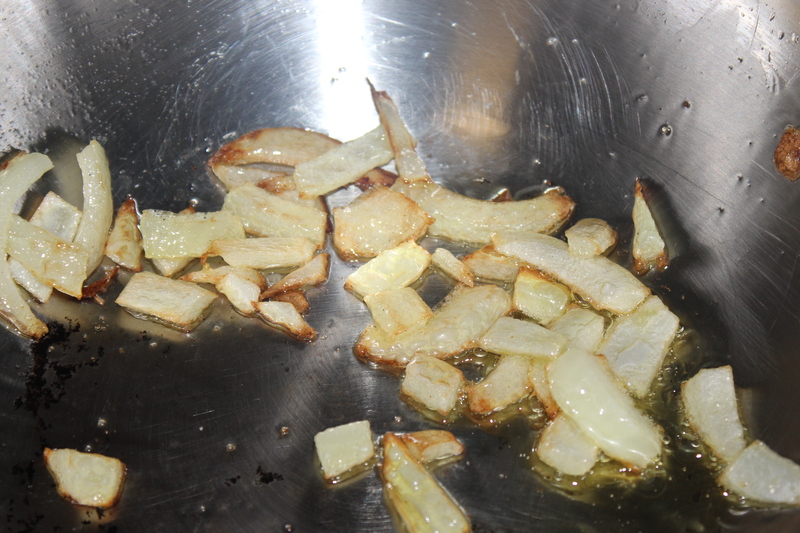 As soon as the edges as browned and the center looks cooked through, it is good to go. Really kind of a simple recipe but the outcome is fantastic. It’s really healthy and filling. I’m not even going to lie, I enjoyed it with another latte. Ever since Maggie introduce me to to them, I can’t get enough of it. They are light, and really not difficult to make. They get a bed reputation because the clean up is supposedly difficult and time consuming, but I don’t really find it tedious. I think it’s completely worth it to whip these guys up. 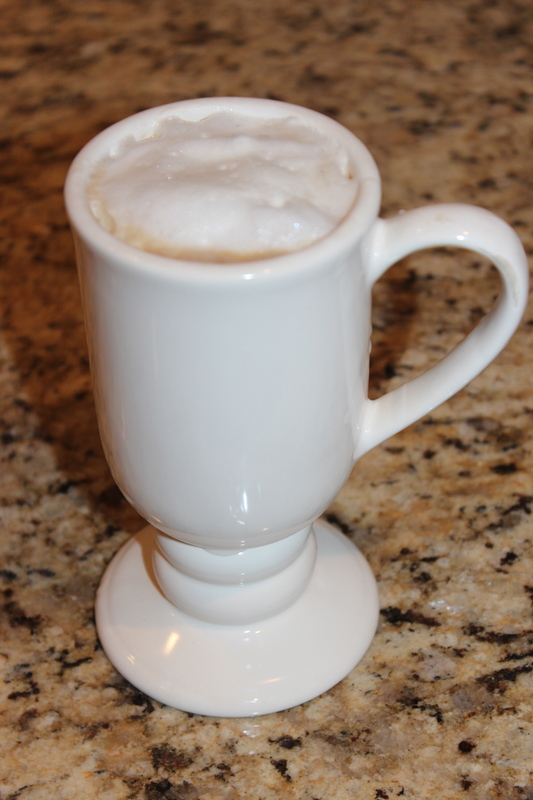 What are your thoughts on an at home latte?? This entry was posted in Breakfast, Gluten Free, Vegetarian and tagged Banana, Bread, Breakfast, Cinnamon, Easy, Gluten Free, Healthy, Oatmeal, Oats on February 27, 2013 by Sizzle Food. This morning, I woke up at 6 to try out the Jillian Michaels Yoga DVD Workout. Today was supposed to be my rest day after the 7 mile run yesterday. Instead, I wanted to give her DVD a try because it was low impact and yoga does great things for healing muscles. I have also heard GREAT things about her DVD workouts and really wanted to give one of them a go. I actually really liked it! She has a different take on yoga in the sense that she doesn’t focus on the static movements that many others do. I find yoga to be slightly boring, but Jillian incorporates deliberate movements that target just about every muscle in the body. FOr an early morning workout, it’s perfect. All you have to do is roll out of bed and flip on the TV. Not much to it. And she will DEFINITELY make you sweat. After the workout, I sat down at the computer for some work. whipped up some breakfast and headed out on the road. For breakfast I indulged in a LOVELY Spinach Protein Smoothie. OH GOOD YUM. It may not look all the pretty, but it was good. I have been dying to give the spinach deal a try just to see how it went and I really enjoyed it! 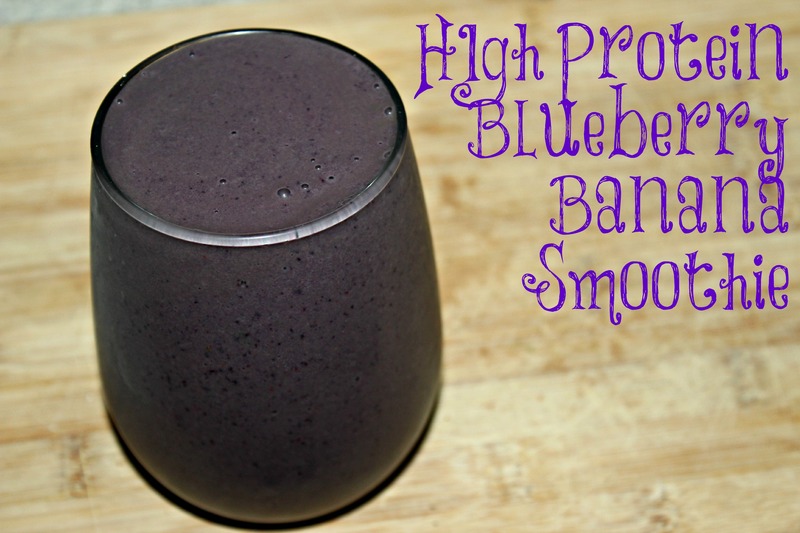 You will definitely be seeing a few more smoothies with spinach leaves in there! Work was crazy. I just ran around all day. I also had to deal with some shenanigans trying to find the pups a place to stay on saturday night because Brent and I are going camping with some friends. That was a headache. I got a new dishwasher! Fun! But it’s legit been washing the first load for the past two hours…annnnnnd it’s still going. Mer. 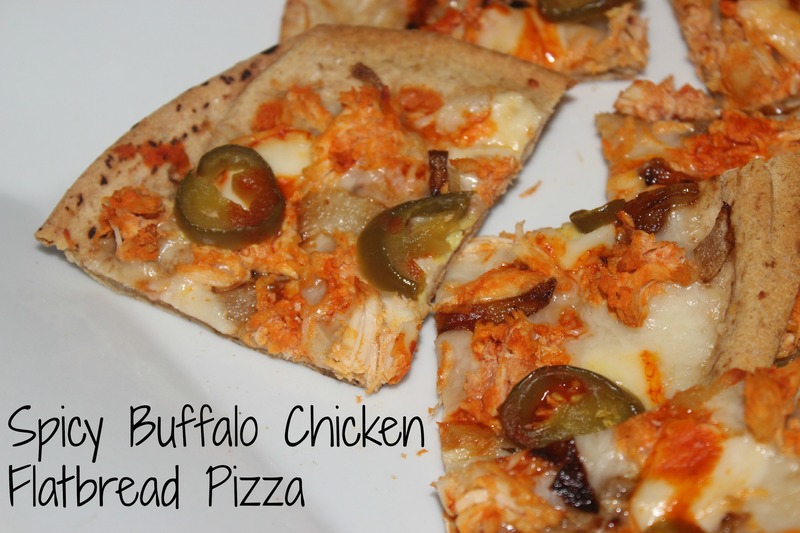 For dinner, I delved into that Slow Cooked Buffalo Chicken and made a little flatbread! Oh and did I do good things! LOVE! It had some spice, and some zest and some SIZZLE! Yup, I said it! 1. Sautee your onions. 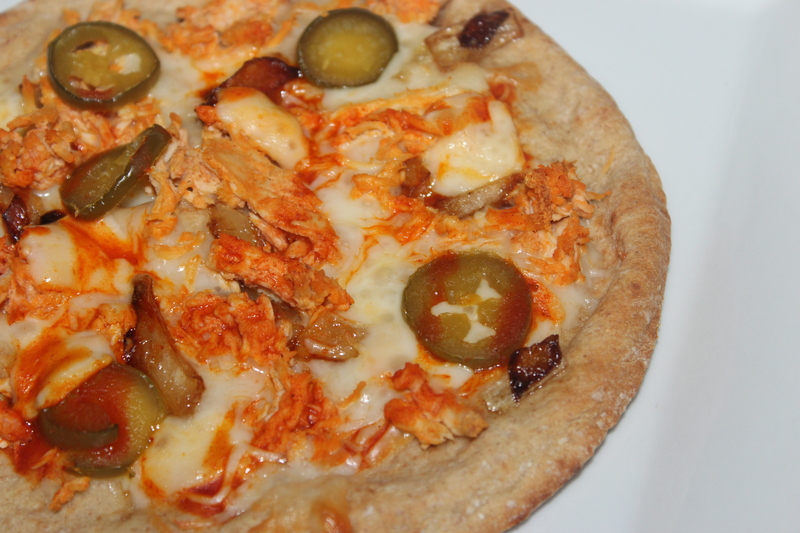 Place all of your toppings on your flatbread and bake at 375 for 5-10 minutes depending on how crispy you want it. Enjoy!! This was actually very low calorie as well! 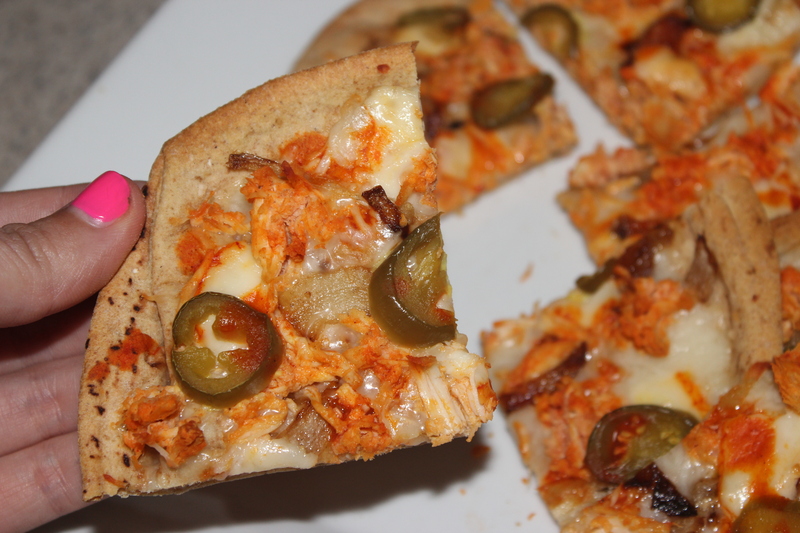 The bread I used was only 60 calories, and with all of the toppings, we are talking about 200 calories! AWESOME. 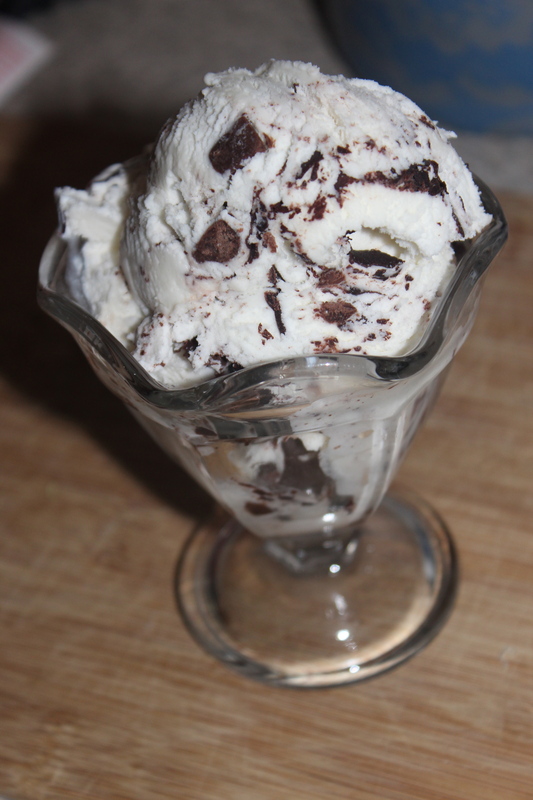 Now, you obviously need more than that to fill the tank, so pair it with a salad, or in my case…Moose Track Ice Cream! I mean really?! What doesn’t complement something spicy better than something sweet?! Hahaha. Oh well! I’ve got Tina’s Best Body Bootcamp waiting for me in the morning! She’ll definitely zap the ice cream right out of me. I was supposed to start the program on Monday, but really needed to get a solid 7 miler in. My plan is to use Tina’s Bootcamp as cross training during my half marathon training. It’s only 6 weeks away! That’s actually terrifying to me. I am only at 7 miles and that’s just a bit over half…Tina’s going to help…I hear she does wonders like that. What’s your favorite DVD workout?? When do you like to turn them on?? In the morning? Or when you just can’t seem to get the motivation to drive to the gym?? This entry was posted in Appetizers, Dinner, Flat Bread, Gluten Free, Half Marathon Training, Snacks, Vegetarian and tagged Banana, Blueberry, Breakfast, Buffalo, Chicken, Chocolate, Crock Pot, Easy, Fast, Flatbread, Gluten Free, healthy-living, Jalapenos, jillian michaels, morning workout, PIzza, Protein, Shake, Slow Cooked, Smoothie, Spinach on October 23, 2012 by Sizzle Food. I have been pretty much drooling over the idea of some peanut butter pancakes and just haven’t had the morning to actually put it all together. But First! Fun! 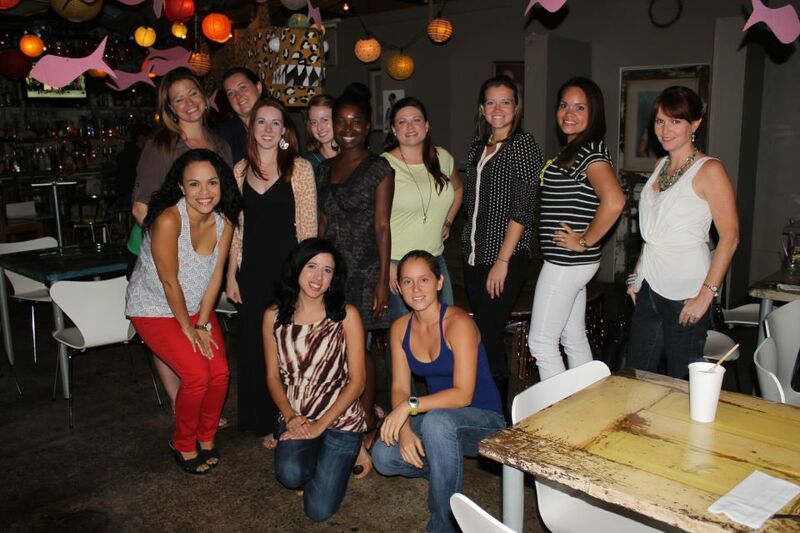 I went to my first Blogger Meet Up on Wednesday Night with the Central Florida Lady Bloggers. It was really fun to meet some local ladies that have all found a niche in blogging. Each of them had something different that they were passionate about and it really shows through in their blogs. Definitely check out their blogs. Some of them are newer, some seasoned vets. But you will find vegetarians, fitness instructors, photographers, beauty gurus and anything else you can think of! In the picture, Carolina, Stephanie, Marilyn, Kerry, Rachel, Nadege, Colleen, Margarita, Danielle, and Christine. It was great to meet some of the local bloggers and just to get to know some different people. NOW. For the main even of BREAKFAST. I LOVED this. 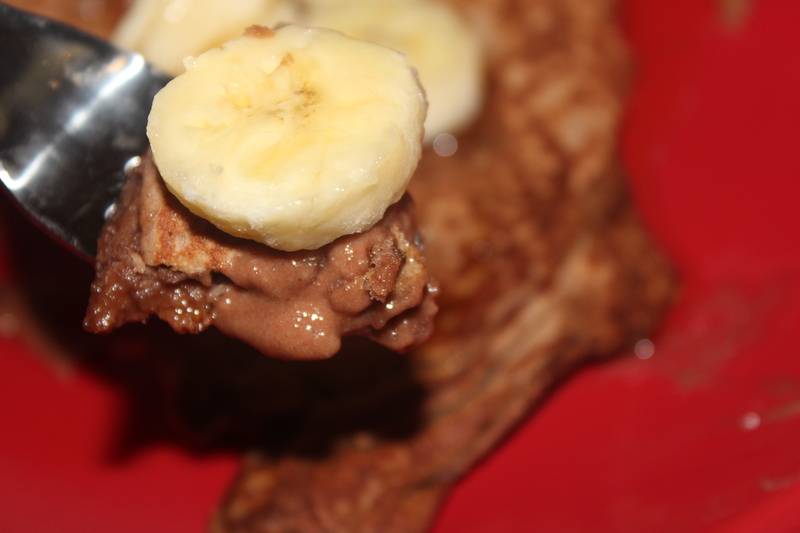 Chocolate Peanut Butter Lava Protein Pancake! For REAL. 1. In an bowl, mix all of the ingredients until well mixed. Add a little more water if needed. The batter SHOULD be VERY thick. This is what will give it the lava effect. 2. Heat up the skillet to medium heat and spray with cooking spray. Now put the whole batter on the skillet to make 1 pancake. You may have to use a spoon to spread it out a bit. 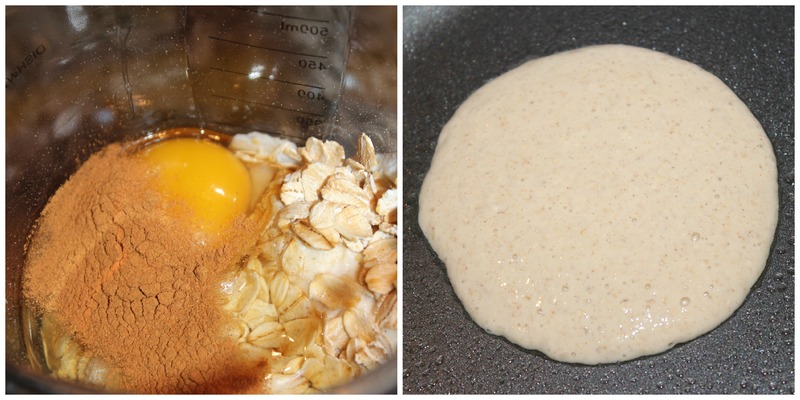 After 20 seconds, flip the pancake and cook the other side for an additional 15 seconds. Remove. The inside will be chocolately and peanut buttery and gooey. 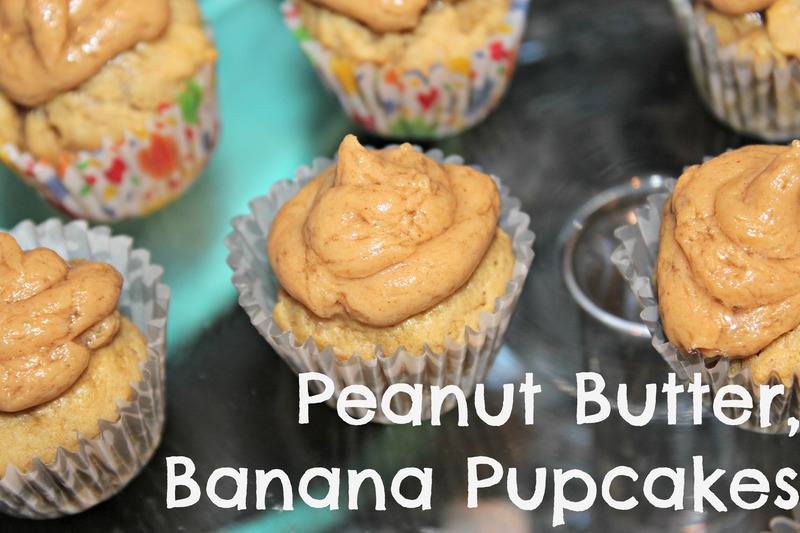 I topped mine with a half of a banana and spritzed a little agave nectar on top. It was delicious and really filling. One reason I really like this recipe is because it only takes a few minutes to pull together. Sub 5 minutes. You don’t need any fancy toppings or to get too complicated. The pancake really takes care of the flavor for you. 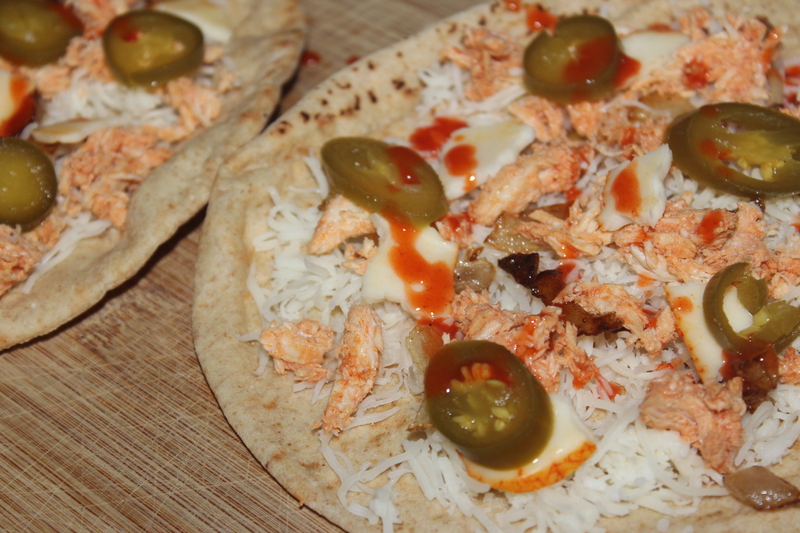 It is also PACKED with protein and will keep you full until you are ready for your next meal. 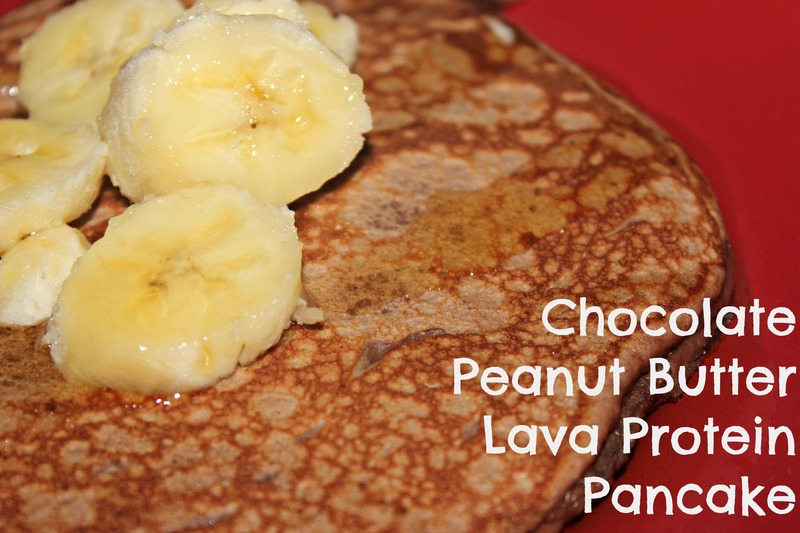 If you want to give another Lava Pancake a try, check out the Chocolate Cake Protein Pancake. What’s your favorite flavor of pancakes?? Peanut Butter? Chocolate?? Blueberry? Banana?? I am a fruit gal. I a really really big fan of the blueberry pancakes. They are usually really light and full of that fruity flavor. This entry was posted in Blogger Meet Ups, Breakfast, Orlando, Vegetarian and tagged Agave Nectar, Banana, Breakfast, Chocolate, chocolate peanut butter, cocoa powder, Easy, Fast, Lava, Pancakes, Peanut Butter, Protein, Protein Powder on October 19, 2012 by Sizzle Food.